WHITE PLAINS, N.Y., June 19, 2017 – The USTA has announced that the Rockingham Community College tennis courts in Wentworth, N.C., are one of 12 winners in the 36th annual USTA Facility Awards program, which recognizes excellence in the construction and/or renovation of tennis facilities throughout the country. Rockingham Community College will be honored at the Next Generation: A Tennis Innovation Workshop at the Renaissance Orlando at SeaWorld in Orlando, FL, Oct. 11-15. 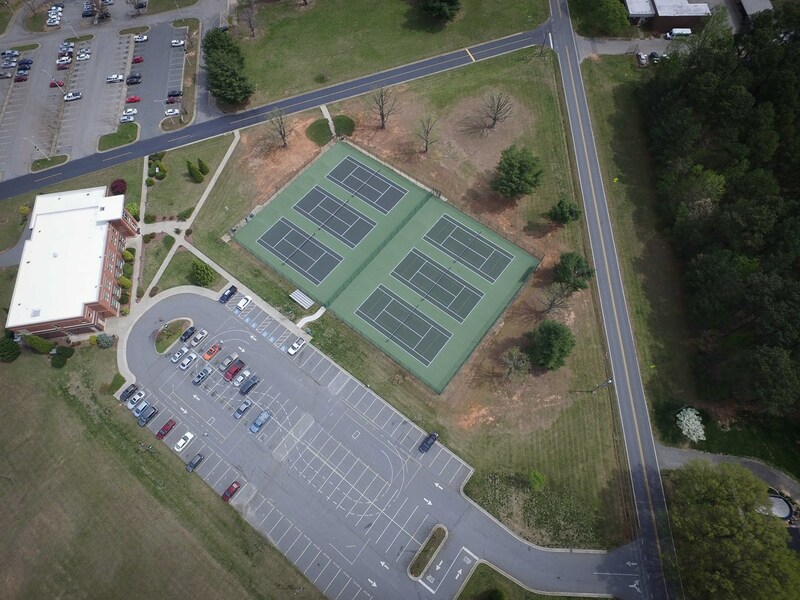 In the summer of 2016, Rockingham Community College (RCC) partnered with the Rockingham County Tennis Association to revitalize tennis in the county by resurfacing its six courts, becoming the cornerstone of renovated athletic facilities at the college. In addition to being a site for educational courses, the courts are used by local high school tennis teams and the community. The courts are the first location in Rockingham County where adult and youth tennis instruction is available to all community members – no membership required. The college was able to pull together funding for the resurfacing from a variety of sources to augment a bequest. In May, RCC and the Rockingham County Tennis Association hosted one of 20 "Family Tennis Night on the Courts" events across the South to help USTA Southern test-market strategies to reach non-playing families and promote local tennis programs to a new audience. Rancho Penasquitos Tennis Center, San Diego, Calif. Upper Main Line YMCA, Berwyn, Penn. Dataw Island Club Tennis Center, St. Helena Island, S.C. Overland Park Racquet Club, Overland Park, Kan.
Bentwood Country Club, San Angelo, Texas (Featured Facility) Cape Fear Country Club, Wilmington, N.C. The USTA is the national governing body for the sport of tennis in the U.S. and the leader in promoting and developing the growth of tennis at every level -- from local communities to the highest level of the professional game. A not-for-profit organization with more than 715,000 members, it invests 100% of its proceeds in growing the game. It owns and operates the US Open, the highest-attended annual sporting event in the world, and launched the US Open Series, linking seven summer WTA and ATP World Tour tournaments to the US Open. In addition, it owns approximately 90 Pro Circuit events throughout the U.S. and selects the teams for the Davis Cup, Fed Cup, Olympic and Paralympic Games.The USTA’s philanthropic entity, the USTA Foundation, provides grants and scholarships in addition to supporting tennis and education programs nationwide to benefit under-resourced youth through the National Junior Tennis & Learning (NJTL) network. For more information about the USTA, go to USTA.com or follow the official accounts on Facebook, Instagram, Twitter and Snapchat.